If you didn't think the "selfie museum" craze could get any more ridiculous, just wait until Deadpool gets his [baby] hands on one of his very own! 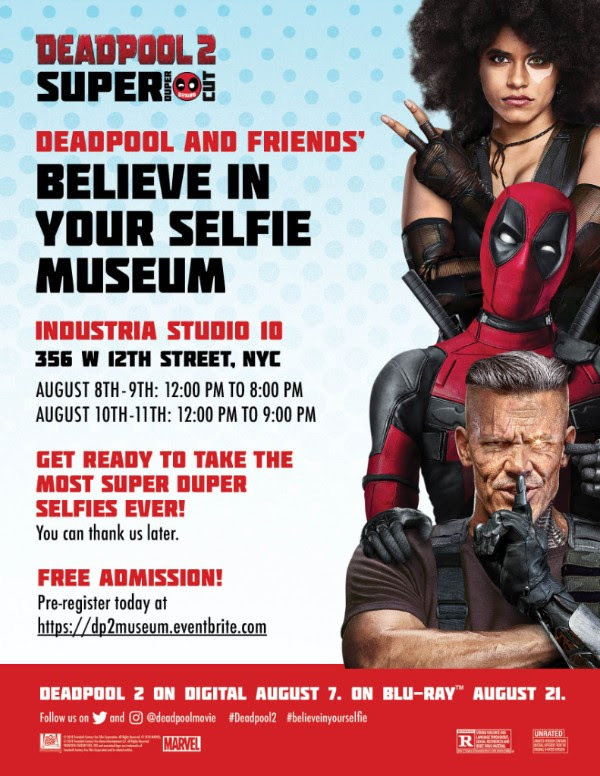 Deadpool and Friends' Believe in Your Selfie Museum, a limited run photo opp pop-up, makes the ultimate superhero landing in New York City’s West Village just in time to help fans celebrate the home entertainment release of the Deadpool 2 Super Duper $@%!#& Cut, on Digital August 7 and Blu-ray August 21. 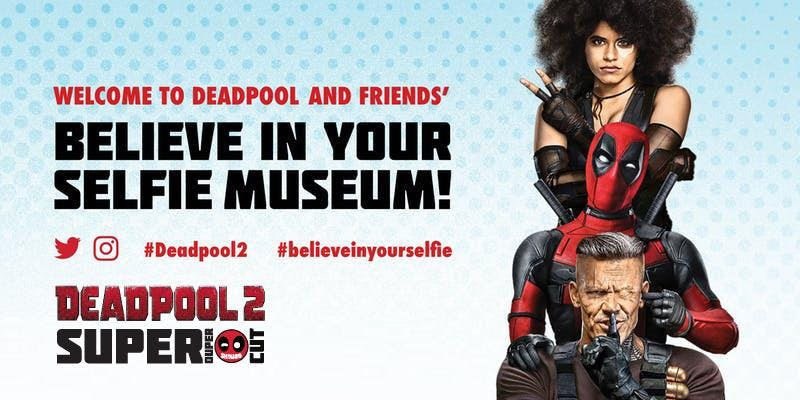 Add DEADPOOL 2 to your Digital collection on Movies Anywhere August 7 and buy it on 4K Ultra HD, Blu-rayTM, and DVD August 21.